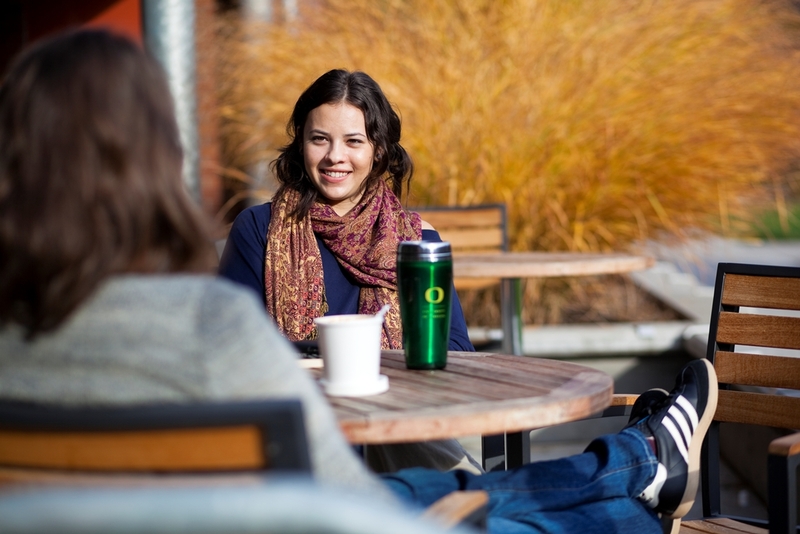 Beginning this week, UO faculty and staff may want to check before scheduling coffee meetings at popular campus cafes and visits to other campus locations. For winter break, the UO will experience a variety of schedule changes from today until Jan 5, with some facilities closed or operating on modified hours. Dec. 16-Dec. 20: 7 a.m. to 5 p.m.
Dec. 23: 7 a.m. to 5 p.m.
Jan. 2-Jan. 3: 7 a.m. to 5 p.m.
Jan. 5: 11 a.m. to 5 p.m. The Jordan Schnitzer Museum of Art will remain open to the public during the holiday season as it did last year, with the exception of closures on Dec. 24, Dec. 25 and Jan 1. The Marché Museum café will have modified hours during break. It will be open 11 a.m. to 4 p.m. Tuesday through Sunday; 11 a.m. to 7 p.m. on Wednesdays; and closed Mondays as well as Dec. 23 to Dec. 25 and Jan. 1. The Museum of Natural and Cultural History will also remain open for the majority of the break with closures Dec. 24 to Dec. 26 and Dec. 31 to Jan. 1. The Jaqua Center’s Camp13 Beanery will be closed Dec. 23 to Jan. 5. There are no UO Housing dining services available on campus during winter break. Four of the six on-campus libraries will be open during break, with modified hours available online for Knight Library, A&AA Library, the Law Library and the Science Library. The Student Recreation Center will also be open daily for a portion of break from 10 a.m. to 8 p.m. with all facilities being closed Dec. 24 to Jan. 1. The University Health Center will be open Dec. 16 from 10 a.m. to 12 p.m. and Dec. 17 to Dec. 20 from 10 a.m. to 2 p.m. It will be closed Dec. 14 and Dec. 15 and from Dec. 21 to Jan. 5.